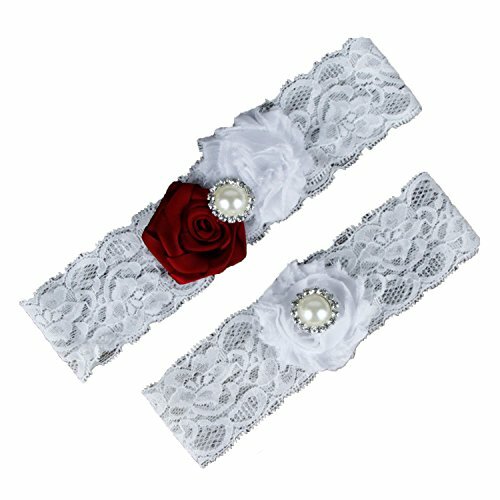 Samfly Women's Wedding Bridal Lace Garter Set Keepsake Toss Tradition Vintage Flowers Pearl Rhinestone (Dark Red) ~ Wedding Garters ~ It's Wedding Time! - Real Wedding Ideas & Inspiration. 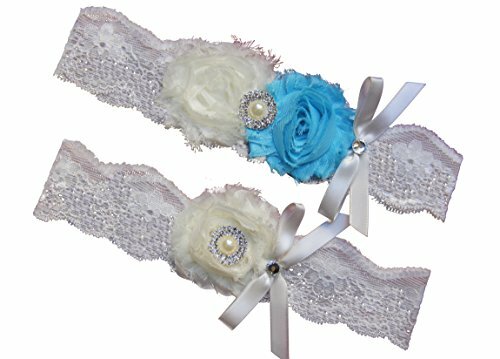 Samfly Women's Wedding Bridal Lace Garter Set Keepsake Toss Tradition Vintage This 2-piece throw away and keep one garter is lace garter with silk detail and pearl heart accents. 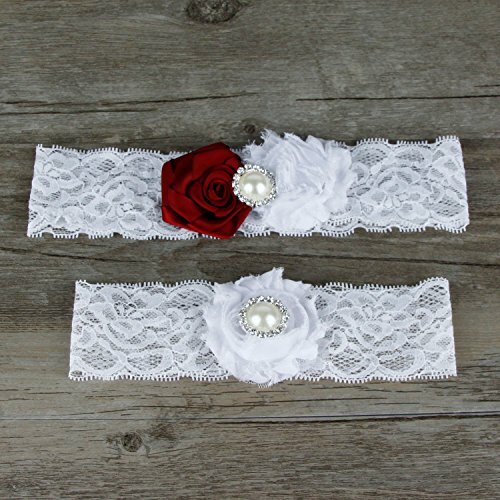 These lovely tasteful bits of lace allow the bride to keep her own fancier special version of the garter and toss away the other one. Sizing Garters tretching range is approx. 17.3-18.1 inch. To ensure proper sizing, wrap a measuring tape around the spot you wish to wear the garter. Make sure you don't measure the spot too tightly. 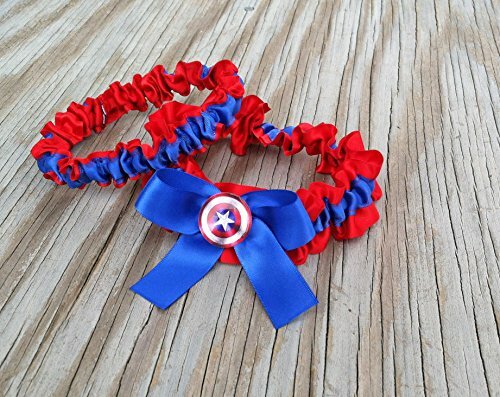 A piece of yarn or string can be used if you don't have access to a soft measuring tape. Wrap the yarn, then use a ruler to see the measurement. 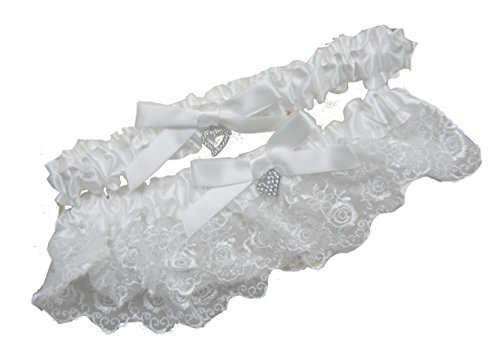 Keepsake Garter Imagine the emotions when you slide this elegant keepsake garter up onto your thigh. 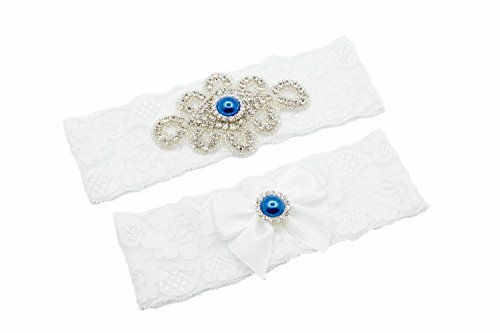 Available in white, the garter is crafted of scalloped stretch lace and features a brilliant blue topaz rhinestone surrounded by sparkling crystals. 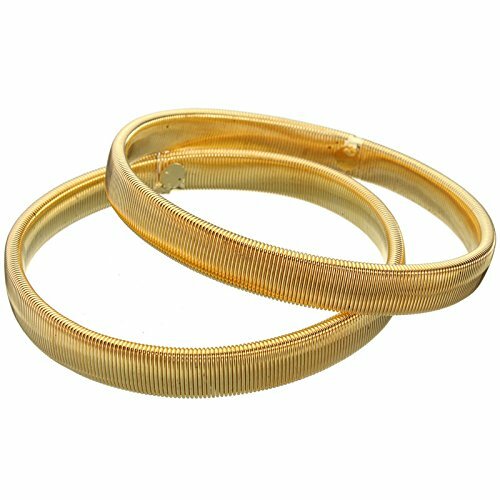 Both beautiful and functional, the garter's soft lace creates a comfortable accessory that can be worn during the wedding ceremony and through the reception. 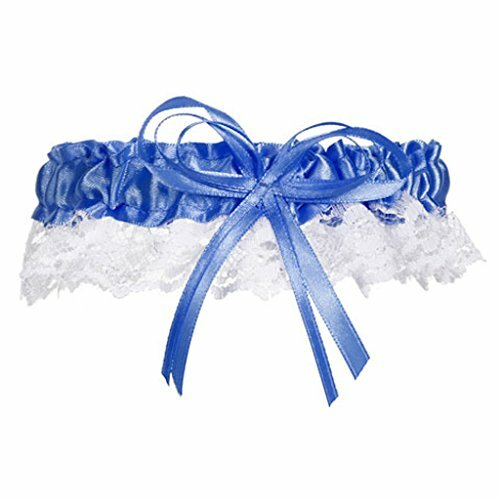 Toss Garter This charming garter set features a delicate tossing garter that perfectly coordinates with the unique style of the keepsake garter. 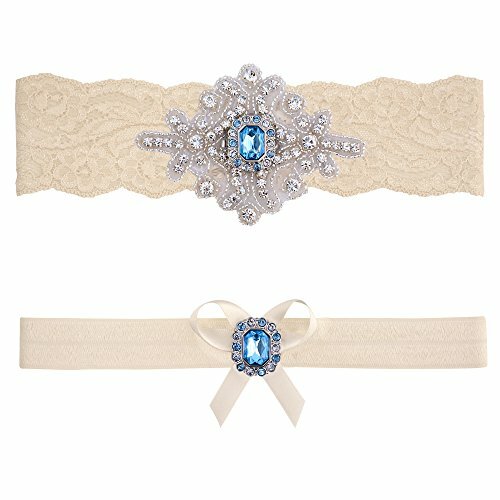 A bling bling pattern is centered on the toss garter and embellished with a beading rhinestone. 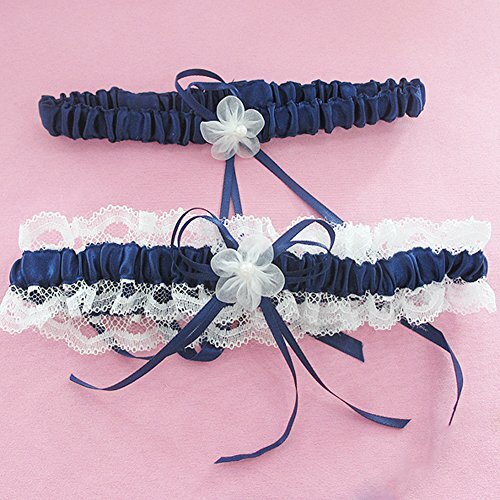 Package include Set of 2 Piece Bridal Garters Set Simply click the Add to Cart button at the top right of this page to place your order now.